Thank you cards and note cards. Rustic and modern folded Thank You cards for saying "Thank You" following an event, ceremony, celebration, party, and for everyday sentiments of appreciation. Also included in this collection are folded note cards, which can be used for any occasion or greeting. 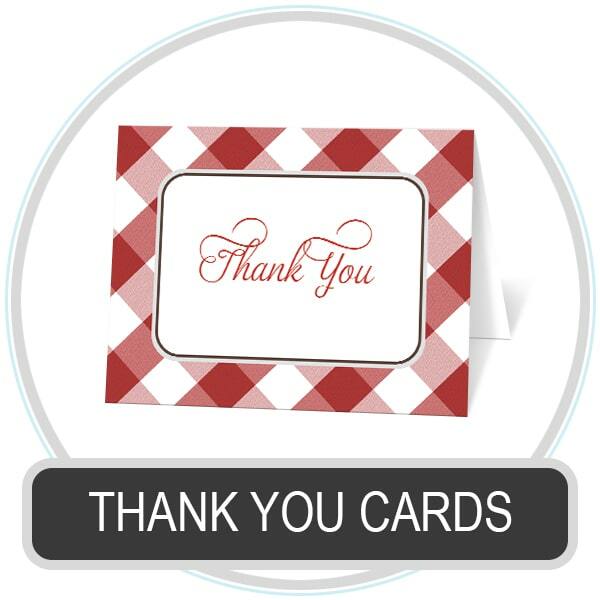 These thank you cards and note cards are great for sending greetings in bulk, to a lot of people. Plus, you are given the choice to order them with a blank inside (default option), or to have them custom printed with a personalized message inside. Cater your personalized message to send thanks following your event or occasion. Did you just get married? Tell your guests that you thank them for attending your wedding.